Ci2019 promises a range of creative and innovative discussions. Whoo hoo! 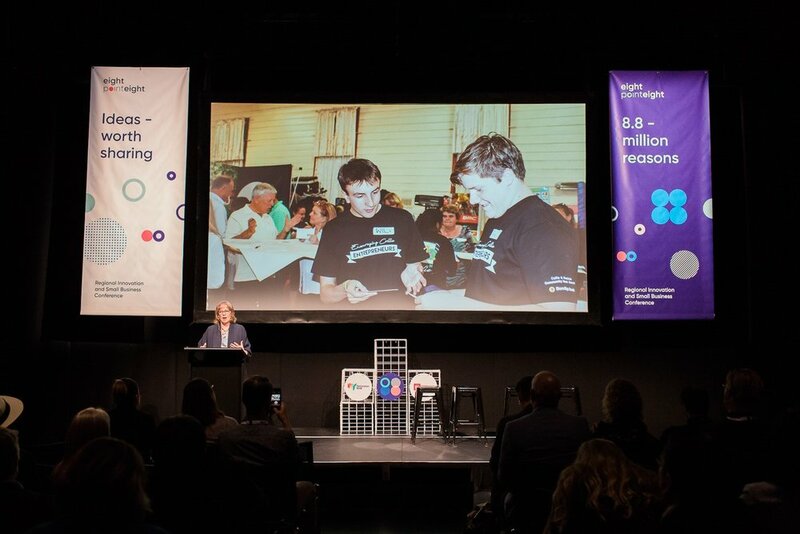 Delighted to learn that I am one of nine Australians selected to pitch an innovative idea at the Creative Innovative 2019 Asia Pacfic Conference being held in Melbourne 1-3 April 2019. So honoured to be able to put a RURAL ENTREPRENEURSHIP perspective into the mix of amazing ideas that will be shared. Not to mention soaking up the ideas of some awesome speakers. Check it out on their website. Will I see you there? Please come up and say hi. Well, what a lovely surprise and a privilege, to be named as one of Australia’s top country agents for change by Country Style Magazine in its December 2018 issue. Thanks to many conversations over the past five years, Operation Next Gen and the importance of building strong entrepreneurial ecosystems has reached a national platform. Congratulations to all the other awesome people and organisations listed - and those who weren’t and really deserve to be. It is important to note that the Top 50 are not listed in any particular order, I just got lucky being listed as #2! On 6 September 2018 I was pleased to present to councilors and staff at Sunshine Coast Council on how they can strengthen their rural communities and businesses into the future. The very next day they announced a huge contract to provide submarine cabling connecting Australia to three global locations. Lots happening in this part of Australia! Delighted to be able to contribute to the Bendigo Inventors and Innovation Festival on 4 September, 2018. They kept me busy with an Innovate or Suffocate Workshop, Panel discussion, and Entrepreneurship Talk. Great to see so many people travel to Bendigo for a great line up of speakers and workshops. What a lovely surprise to be recognised with the 8point8 Regional Innovation Ecosystem Leader Award in Wagga Wagga on 22 August 2018. It was also a pleasure to be one of the keynote speakers contributing to learning across regional communities Australia wide. Congratulations to the conference organisers. So important for these types of events to be led by the region for the region. So much talent to harness! What a pleasure to work with Operation Next Gen Collie to bring an entrepreneurial flavour to National Science Week. On Thursday 16 August 2018 we paid tribute to the contributions of our First Peoples to science with the launch of this video researched by Mila Foundation students at Collie Senior High School. Want to make a positive difference in 2018? Read these five thought starters. Measuring long term impact can sometimes be tricky but if you keep your eyes open it can also be obvious. WIN TV recently reported on a tourism boom in Cohuna citing massive growth over a four year period. It was no coincidence that Operation Next Gen Cohuna was launched four years ago. Congratulations to the ambassadors for their great work in establishing the #GetYourBacksideCreekside campaign. READ MORE about Operation Next Gen Program that works with rural towns wishing to take control of their own destiny.